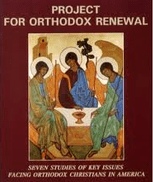 The Laity must find its voice to renew Orthodox Christianity in USA. The appointed donor elites, the clerical handlers, the old world governments, synods and patriarchates, the Assembly of Bishops, who refuse to assume responsibility to establish canonical order, and the apathetic laity, all bear responsibility for the malaise, bankruptcy and mortgaging of the Institutions established by our grandparents. The status quo is unacceptable. Renewal involves open and free discussion by those who have been blocked out of governance, including hierarchs, clergy and laity across jurisdictions. Millions of dollars will be expended in the next few weeks to participate in programmed national assemblies that will reinforce the status quo. It is time to look beyond these choreographed meetings and speak the truth to the structures that refuse to trust the Holy Spirit. Pray the prayer of the Bishops assembled at Ligonier, Pennsylvania, 24 years ago [see below]and stay focused on renewal, unity and Christ’s commandment to love one another. With His help, the crooked will be made straight. Lord, Jesus Christ our God, we thank you for the holy Church in North America, which you have gathered from the native peoples here and from our forebears in all the nations. As our fathers in God gather in holy council, we ask you, as the Lord of Hosts and Prince of Peace, who made your angels spirits and your ministers a flaming fire, and who spoke to Elijah in a still small voice, to purify and sanctify our souls and bodies, so that we, their spiritual children, may walk with them in the way of your commandments. Guide them in due season into one, holy and apostolic Synod, so that with one heart, we may give thanks, with one mind we may confess, and with one voice we may proclaim, your sublime and majestic name; together with your Father without beginning, and your all-holy, good, and life-creating Spirit, now and ever and unto ages of ages. Amen. It’s always a pleasure to read your musings. In my humble opinion, you are one of the finest leaders of the Orthodox Church in America. 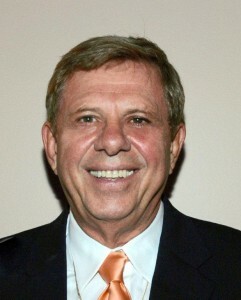 I am 75 years old and was born and baptized Antiochian Orthodox. My grandparents and parents were very instrumental in establishing the Orthodox Church here in this country. You are the first layperson I have heard speak out so strongly and honestly. God bless you. It is time our hierarchy start believing in our creed: “One, holy, Catholic, and Apostolic Church” and stop playing games with jurisdictions and ethnicity. Our Ecumenical Councils came together as one with God as our Head. It is time for our hierarchy to get off their thrones and work as one. The Orthodox Christian Laity (OCL) has been educating and advocating for Orthodox Unity of the 14 “ethnic jurisdictions” in the US and for transparency and accountability in Church governance for thirty-one years. … “keep doing what you’re doing, it is up to the Laity.. we cannot speak out”..
Can you imagine a Church in America, “the land of the free and the home of the brave”, where clergy are afraid of speaking out because of Bishops who are perceived to be arbitrary, capricious, vindictive and unaccountable? How will the laity “find its voice” if the clergy, who are closest to them.. in parishes.. in council meetings.. in bible studies.. and from the pulpit.. themselves have “no voice”? If you are a lay person who visits OCL’s website.. or has attended its annual conferences and read its publications over the past three decades, it is up to you to spread the word among your friends and relatives. 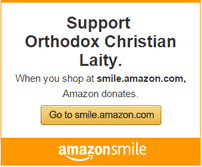 Support OCL and help the Orthodox faithful in the US “find its voice.” Each of us can be that voice in our parishes and among those who have given up and either withdrawn to the margins (you know who they are: they come to Church only on major holidays.. and for weddings, baptisms, funerals and memorial services).. or they have left entirely and only come to the “Food Festivals”. Encourage your priest and your bishop to work for a united, single, Autocephalous Orthodox Church in the US. Find your “voice” .. help your friends and relatives find theirs.. and together and declare that the status quo is not acceptable. There is an autocephalous Orthodox Church in America, it’s the OCA–the Orthodox Church in America and there are several ethnic episcopal communities under this jurisdiction. Are OCL’s intentions therefore, to establish another autocephalous church, namely, the GOA? If that’s the case there will exist, at least, 5 autocephalous churches operating independently in the United States–OCA, GOA, Serbian Orthodox Church, Antiochian Orthodox Church and ROCOR. Thus, nothing will have changed and each of these entities will continue to promote their own priorities and agendas. There can only be ONE autocephalous Church in the the territory of the US. Everyone knows that the current situation with multiple bishops claiming authority over each other’s territories is uncanonical. The OCA’s autocephaly is not universally recognized, and the fact that Moscow sill has parishes (ROCOR) in the US raises concerns about its intentions towards the OCA, which received its autocephaly from Moscow forty-some years ago. The OCA itself does not insist that all of the other Orthodox “jurisdictions” in the US must join the OCA. Furthermore, the OCA does not appear to be willing to surrender its autocephaly back to Moscow. Nor should it. This can be accomplished by all of the canonical Orthodox Bishops in the US (who have been meeting for about seven years) to announce that they are no longer an “Episcopal Assembly” but are, in fact, a SYNOD and they elect their own presiding Bishop. The Church in the US would then be” “one, holy, catholic, and apostolic” … and AUTOCEPHALOUS. That is the only way that the Orthodox Church in the US can be canonical,.. with a single priority and a single agenda. To grow Orthodoxy in America. The time is here and now. Voices need to all speak out and prayers raised. Our basic freedoms in America are in jeopardy if our Orthodox Church as a whole does not claim its sacred destiny of being united and self-ruling in America. Mother Elizabeth (Bacha) New Tikhvin Skete of the Holy Mother of God, Palm Coast, Florida.